Having gone through the pain and hassle (more than once) of poorly done piercings that got infected, I am always looking for a better way. Today, fewer employers completely ban nose piercings, although some may ask that workers pick flesh-colored jewelry or require only studs of a particular size or shape. If you work outside of your home, be sure to keep your workplace's policies in mind when choosing your starter jewelry—or you may be forced to make the painful decision between losing your piercing or losing your job. It is very important to select jewelry that suits your body and lifestyle, as well. If you're active, you'll want to choose something that doesn't get in the way of that activity. If you're sensitive to certain metals, it's important to keep that in mind, too. For your first nose jewelry, you may want to choose something simple and as conducive to healing as possible. This isn't the time to choose a Hello Kitty nose ring, nose bone jewelry, or some other outlandish style that may cause issues not only in healing but at work and/or school. Read on for a few more things you may not have considered when it comes to getting your nose pierced for the first time. Why you need to choose jewelry carefully BEFORE you get pierced. Taking heal time, pain tolerance, and pain reduction measures into consideration beforehand. 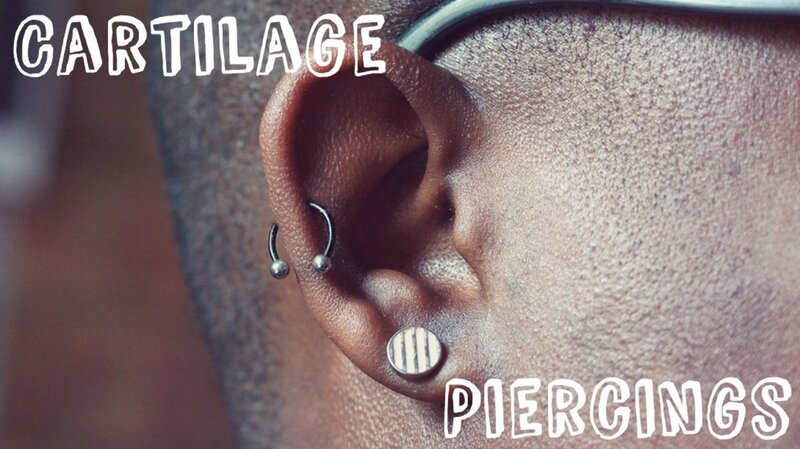 Which styles and metal types are the smartest choices for new piercings. If you'll need to have the option of hiding your piercing, how to plan accordingly. How to care for a new piercing to avoid healing complications. Each of these questions will be explored below. As I said, you have to be very careful and prudent when choosing your starter nose jewelry. How Will They Pierce My Nose? What Will Happen? Knowing what's going to happen when you get pierced will help you understand why jewelry choice is so important. First, the piercer will thoroughly sanitize the site. Next, the piercer marks the spot with a pen. They'll ask you to look in a mirror to make sure the spot is properly placed. Then they'll gently clamp your nose with an instrument that holds it steadily in place. Next, they'll push the hollow needle through with one quick movement. This is when you'll feel the most pain—it will be sharp and quick. Finally, the'll insert the jewelry. This can sometimes be a bit painful, too. You'll leave this jewelry in until entirely healed, so choose wisely! Lastly, they'll carefully re-sterilize the area. Heal time depends on many factors, including where the piercing is, what jewelry you choose, aftercare, etc. How long does it take for a nose piercing to heal? 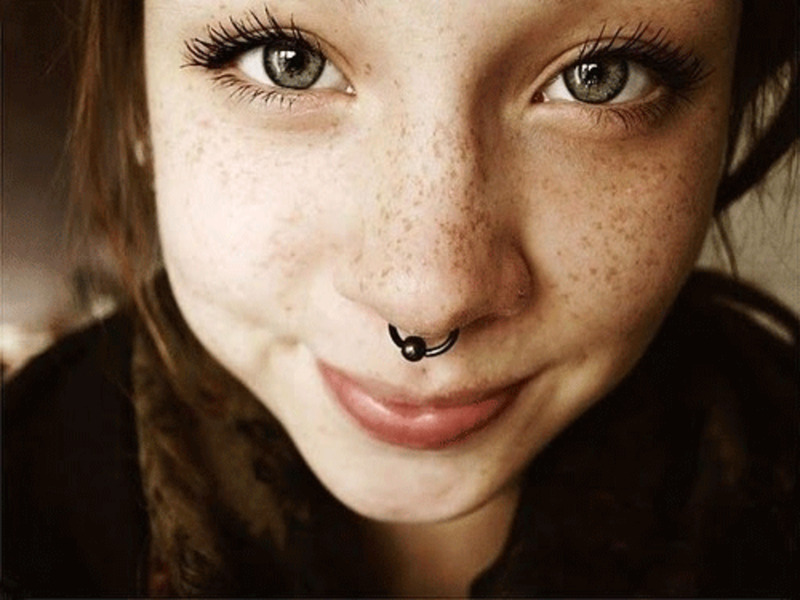 Septum piercings generally heal the fastest, from 6 to 8 weeks. 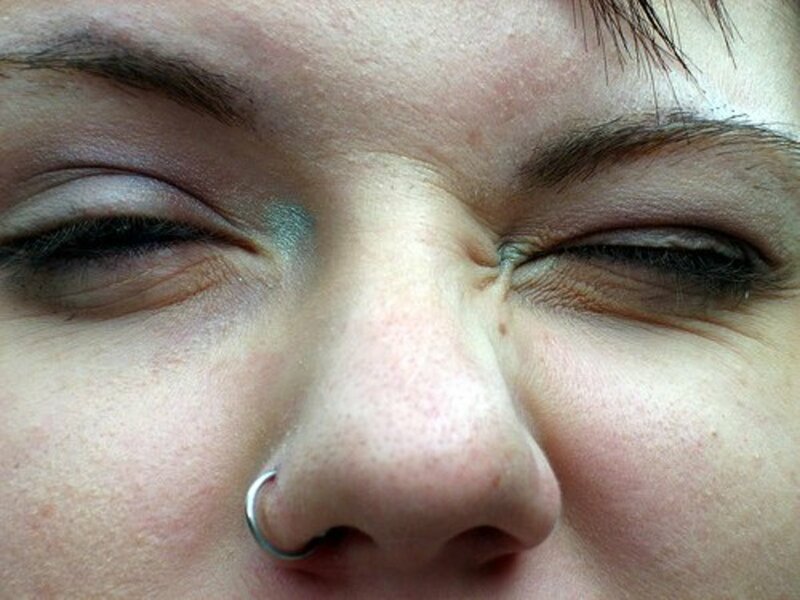 Bridge piercings (up at the top of the nose ridge, between the eyes) are second-fastest, from 8 to 12 weeks. Nostril piercings take 3 to 6 months. 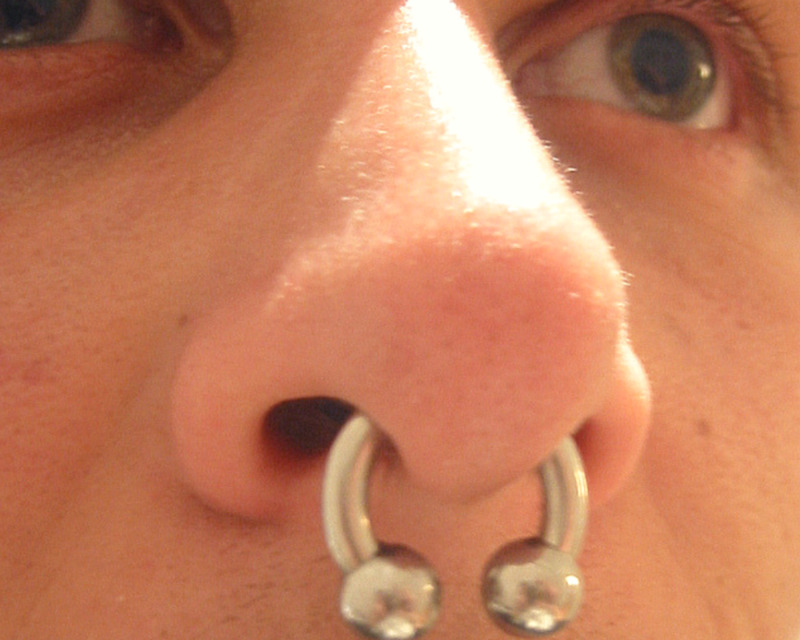 Nasallang piercings (a tri-nasal piercing done horizontally across the nose) can take 4 to 6 months to heal. 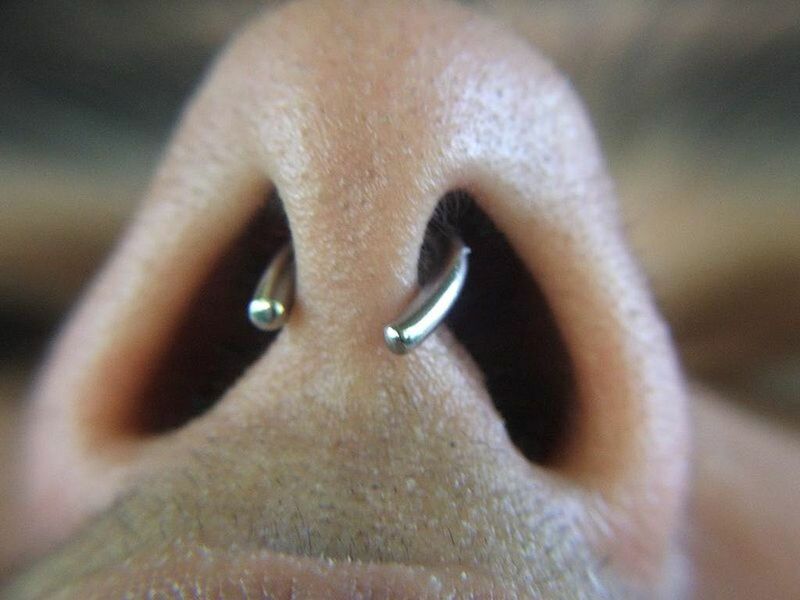 Rhino piercings (done vertically, through the tip of the nose) take from 6 to 9 months. Of course, everyone experiences pain differently. So if you know that you are relatively sensitive to pain, take that into account when you schedule your appointment. It's hard to say. For comparison's sake, It will likely hurt more than getting your ears pierced, and a septum piercing will be an added degree of pain. But getting a nostril pierced should be significantly less painful than a cartilage piercing. If you've never been pierced, you might describe the pain to is sharp, quick, and ultimately bearable, although you'll feel a dull ache for a few days afterwards. How can I avoid piercing pain? As with most things, the more calm and relaxed you are, the less stressful it will be. Practice anxiety-reducing techniques, if you need to. If you have a low pain threshold, you should consider the thinnest jewelry —those would be the 20 gauge ones. The lower the number of the gauge, the bigger the hole that's required for the piercing. For example, this means that a 16 gauge piercing is bigger than a 20 gauge one. Make sure to use a reputable piercer who has the right kinds of tools. If you ask your cousin to pierce your nose with a plastic piercing gun, you'll certainly feel a lot more pain. Make sure to keep the site clean and follow all the aftercare recommendations until the site is fully healed. Do You Currently Have a Nose Piercing? The two most common problems with jewelry are allergic reactions and infection. Taking the metal into consideration helps alleviate problems. Titanium. Implant-grade titanium G23 is biocompatible (agrees with your body), resistant to body fluids, and nickel-free. It's relatively expensive, but you don't want to mess with inferior metals until you're fully healed. Niobium. Niobium is softer, heavier, and more expensive than titanium, but it is a great choice for your starter jewelry metal. Be sure to get something made of at least 99.9% niobium. Surgical Stainless Steel (SSS): Heavier and less expensive than titanium. 316L or 316LVM grades are safe to wear in healed piercings, but even the best grades have nickel in them and may cause problems if you're sensitive to nickel, and that's why it's best to save even the implant-grade SSS jewelry until you're already healed. Gold. Even more expensive than titanium, but if you can afford it, it is a good option. However, since gold is a soft metal and does contain alloys, there is the risk of irritation and reaction. For this reason, it's best to wait until you've healed to change to gold, and if you do, avoid any jewelry that is less than 14k gold—the higher the karat, the better. Glass can be a safe jewelry material, but since there's no universal standardization or labeling for implant-grade glass, you usually can't be sure what you're getting. Glass works only if it’s lead-free: soda-lime, fused quartz, or borosilicate glass might all be fine for an old (healed) piercing, but glass is never used for initial piercings because of sizing issues. It tends to run large, so something called "18 gauge" is often thicker than that, and if a piercer uses an 18 gauge needle, they'll have a lot of trouble cramming that glass in. Remember: the thinner the glass, the more fragile it is, which can lead to risk of injury. Plated Jewelry or "Mystery" Metal. Since you don't know what its made of, its never a good idea to buy cheap, questionable jewelry. You may save money but you'll probably end up throwing that jewelry away when it starts to discolor and irritate your body. Plastic or Nylon. These materials are soft, degradable, and difficult to clean, so they're not suitable for nose piercings. You can't change your nose ring for at least several weeks while it's healing. A simple stud makes a great starter for most people. You can then change to whatever suits your tastes better when that time comes. What Style of Jewelry Is Best for a New Nose Piercing? Nostril rings or hoops will create a curved piercing hole, so piercers almost always recommend using a straight post for an initial piercing. Nostril screws have straight post wires that go through your piercing and end with a bend that holds the jewelry in place. Putting in, removing, and re-inserting a nostril screw can be tricky without practice, but you'll get used to it. Barbells come in two different styles: regular (one of the ends screws off) or press-fit (one of the ends pops off and on with pressure). The end that screws or pops off is worn on the outside of your nose for easy access. Remember that whatever type you choose, your initial jewelry will need to be a loose-fitting. Why can't I get a really tight-fitting nose hoop, ring, or barbell? A too-tight ring or barbell will pull and irritate the tissue. Because that tissue will be swollen at first and during the initial phases of the healing process, your jewelry will need to fit a little loose in order to accommodate for this. You might not like the way it looks when the jewelry protrudes, but wait until you're completely healed before you change to something more form-fitting. How Can I Hide a Nose Piercing? Consider jewelry made of a discreet material. Some materials are more discreet than others. For a healthy, clean solution, consider a matte titanium anodized in a color that matches your skin tone. Although sensitive people will probably react to jewelry made of clear plastic or flesh-colored acrylic, it might be a solution you'd consider for the short term. Choose a minimal style jewelry or use a retainer. Of course, elaborate designs will always catch the eye, but a minimal piece might not. Camouflage it. Temporarily cover your piercing with a small, flat disc painted with with nail polish that matches your skin tone. You could also hide it under a strategically cut bandage or a spot of makeup. How Long Until I Can Change My Jewelry? Ideally, especially if you're sensitive or prone to infection, you'd wait six months before changing your nose jewelry. But realistically, you're likely healed enough after 6 to 8 weeks to change the jewelry, but should only do so if necessary (like if you need to get an x-ray, or if you develop a reaction to the metal). If you must change your jewelry early, then go back to your piercer and have them do it for you. How long until I can leave my piercing empty? It's not a good idea to take the jewelry out. Because of the mucus membrane on the the inside wall of a nostril, nose piercings tend to close and heal shut very quickly—even in an hour or two—if jewelry is removed. So only remove jewelry if you have a replacement on hand. Choosing the right person and place to do the piercing is the first important choice you must make. A good piercer can help you avoid countless infections and other problems that could have negative impacts on your wallet and your health. Don't undervalue the benefit of a professional piercer! Choose your first jewelry extremely carefully, since your choice will affect your healing. If you become infected or have a severe reaction to your starter nose ring, you may want to remove it, let it heal, and begin the piercing process over again. On the other hand, changing the jewelry and improving your aftercare might allow you to keep your piercing. Consult your piercer before you decide which course of action to take. For the entire duration of the initial healing process, you must follow your piercer's aftercare instructions diligently. It's very important to always wash your hands thoroughly with antibacterial soap before you touch the area around your piercing or change, adjust, or remove the jewelry. Hygiene and cleanliness are very important for keeping your piercings infection-free. Clean the piercing site twice every day—once in the morning and once before bed— using a proper sterile saline solution. Over-cleaning might cause irritation and slow the healing time, but under-cleaning can lead to infection. Most quality piercers will offer cleaning kits to help you prevent infection. Many will supply them with your initial piercing and you can usually return for more if you run out. Dissolve 1/4 teaspoon of non-iodized sea salt into a cup of warm water. Dip a clean cotton ball in the salt solution, then gently press it against the piercing and hold it there for 3 or 4 minutes. For the other side (inside your nose), use a saline-soaked q-tip to clean and remove any crust. Don't rub too hard. If you have time, doing a good soak at least once a day is a good idea. Instead of using the cotton ball and q-tip, dip your entire nose in the saline water described in step #1. A 3-5 minute soak once a day is ideal. Avoid using stringent products. Harsh antiseptics (like alcohol, hydrogen peroxide, tea tree oil, or hand sanitizers) should be avoided since they can irritate and damage the skin and impede healing. Don't apply cosmetics, sunscreen, or other lotions over the piercing site until it's completely healed. You won't be able to use make-up to cover your piercing until it is done healing. Avoid submerging your piercing in pools, lakes, rivers, baths, hot tubs, etc. as these waters may harbor bacteria. Do not remove the jewelry until the piercing is fully healed. Even removing the jewelry for an hour or two is risky. Have You Ever Had a Nose Ring Infection? Why shouldn't I get my nose pierced with a gun? It's so cheap and easy! Avoid piercing guns at all costs. They were not built for the job, are likely to cause unnecessary pain, are far less accurate, and more often lead to blood-borne infections and healing complications. Just don't do it. A hollow needle in the hands of a trained professional is the best choice. What is a piercing retainer? A "retainer" is just a type of jewelry but it's usually extremely plain, because the purpose of a retainer is not to decorate but to simply fill and prevent a piercing from closing up. Can I take my nose jewelry out at bedtime? No. Removing the jewelry for even an hour or two is a risk. 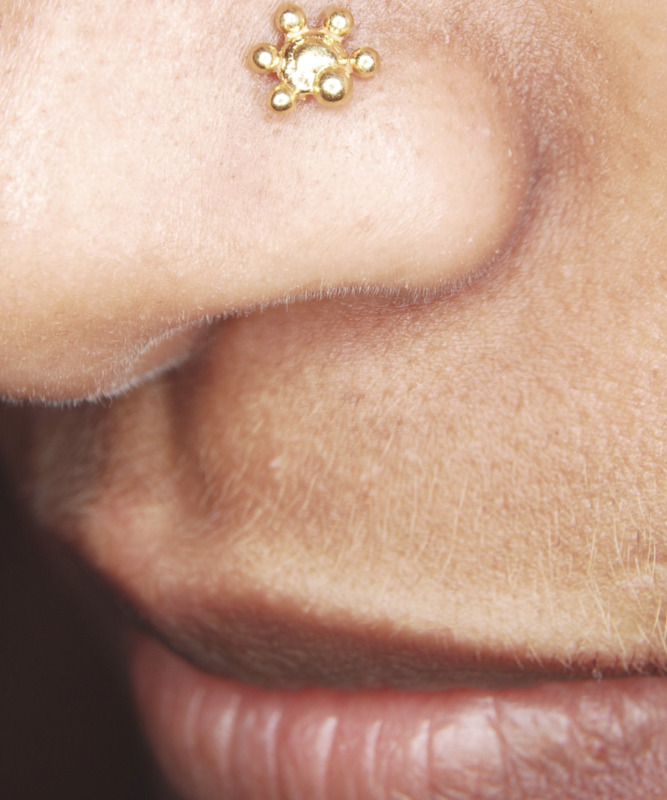 Will a nose piercing leave a permanent mark or scar? Yes. Even if it closes up, a nose piercing will leave a mark or scar. How pronounced the scar is depends on how long you had the piercing: The longer you wore it, the more obvious the scar will be. Should I start with a ring or a stud nose piercing? That is a matter of personal preference. I would recommend starting out with a stud or post to minimize the chance of getting a ring or hoop accidentally caught in your clothing or hair while sleeping. I was pierced with a nose stud (gunshot method). It remained for two days, and then my piercer changed it to a nose bone type stud. I feel that the stud doesn't go all the way through my nose. I push it out every time I clean. But, as soon as I release the pressure, it hides again. Should I re-pierce it? What type of nose ring is the best for faster healing? It sounds like the replacement stud may not be quite long enough. Sometimes this is a result of swelling. I would suggest going to something a bit longer while remaining snug enough not to flop around too much. A stud is probably better than a hoop or ring during the initial healing process, so I would stick with that for faster healing. Is it normal to have a metallic taste in my mouth after a nostril piercing? Although it does happen, a metallic taste in your mouth after a piercing is not normal, and can be the result of either a reaction to the metal used or most likely an infection. The presence of pus in the body can leave a metallic taste in your mouth. First thing I would do is remove the piercing to see if that remedies the problem, and take appropriate measures if you suspect an infection. I had my nostril pierced three months ago (titanium stud). One month later, a bump of similar size to the stud appeared on the side of my piercing. I went to the dermatologist; he did a lab test. He said there was no infection and it was a foreign body reaction. He advised me that it will probably never go away unless I take it out, and that even then, it may not go away. Have you ever heard of something like this resolving itself while leaving the jewelry in? I had a similar situation with an ear piercing. I removed the jewelry and the bump eventually dissolved. We are talking a couple of years for it to completely go away. The original piercing is still there, so it would be really easy to open it back up if I choose to. You may want to consider removing yours to see if it gets any better. Not to dispute your dermatologist, but I have seen them go away on their own, but this was with the jewelry removed. I want to get my nose pierced at thirteen, but my question is, can I have a barbell on a nostril piercing? I know that barbells are usually an indication of a septum piercing, but I like how they look. 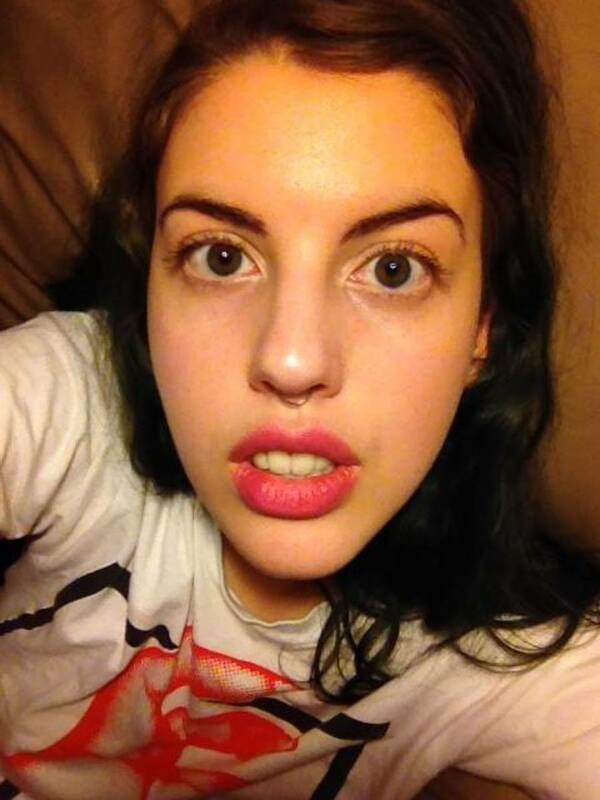 I don't want a septum piercing. What do you think? My answer would be that after the piercing has properly healed, there is no reason why a barbell type post would not work. I just pierced my nose myself at home. What do I need to do for the inside of my nose? If it is swollen, you should determine what is causing the swelling. It may be an infection, a reaction to the material the ring is made of, or just a natural reaction to the piercing. If it is the latter, keep it clean, and ice it down, being careful not to put ice directly on the piercing, as it can cause damage to the skin. If it is infected, use a saline solution on it, and if you can't get the infection under control, you may want to see a healthcare professional. I pierced my nose by myself and put a hoop in, will I be ok? Keep it clean with a sterile saline solution and you should be fine. I just changed my nose stud to a smaller length and it was fine last night but now it is quite sensitive. Is that normal? Or should I remove it and put my other one in? Is this a fairly new piercing? If so, you may want to remove it and replace it with the longer one until the pain subsides. 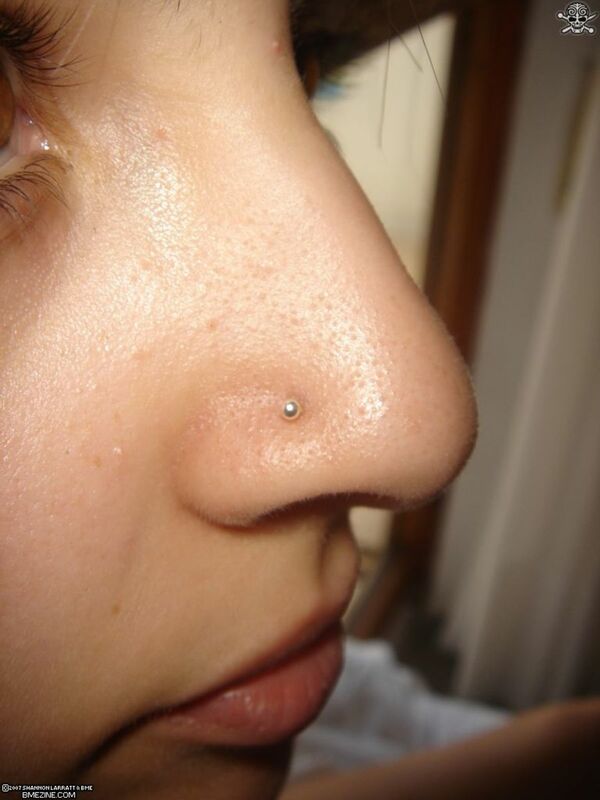 If it is an established piercing, it may be that the new nose stud is simply too short. Either way, keep an eye out for any signs of infection. A little pain can happen when changing jewelry, but too much is a sign that something is wrong. I'm scheduled for a surgery. Will they ask me to remove my jewelry? That may depend on a couple of things. The first being the type of surgery, and second being the material the jewelry is made of. If it is made of metal, it may have to come out. This is entirely up to the surgeon and/or nurse, as I have heard of instances where metal jewelry can be taped down and left in during surgery. I suggest calling ahead and finding out. If they insist on taking it out, see if they are okay with putting something plastic in there to keep the hole open. Reeder Feedback - What do you think? Skyler. It's such a quick piercing you won't even get a chance to react to the pain. I’m so nervous to get a nose peircing. I have a couple questions. Does a side feel more painful than the other side? How are some ways to reduce the pain without using numbing cream? What is the best way to distract myself and keep calm? Compare the pain to something else. I am 58 and just got my nose pierced 3 weeks ago. I say go for it .. I love mine. Sherri, for all we know, we only live once. Also, you can always take it out! I have had many piercings and my scars/holes aren't a bother for me. My bridge holes are obvious, as is my gauged septum hole, but those don't bother me personally and every other piercing I've had has a not right-off-the-bat noticeable scar or hole. That's a tough one. I don't recall hearing anything about raising the age of consent to 70! I’m going to be 70 and want to get my nose pierced. My family say NO! The only piercing I have is my ears. Comments.. It's my understanding that stainless steel and titanium are a much better than gold as far as safety. Gold and silver are softer meals and more prone to irritation or infection. You also need to watch out for some of the fake gold out there, as it can cause a lot of problems, especially with new piercings. I have worn silver bangles, earrings previously, but usually it irritates my skin. No problem with gold though. Will stainless steel and titanium be safe for me? Or gold will be better? Since it has been a few hours since you wrote this, you probably know better than me if it worked. If you don't have much more than some minor discomfort, I would say you are okay. What is a "hippie store"? Is that anything like a "head shop" where you can buy things like incense, lava lamps, crystals, black lights, smoking accessories, etc. I got a fresh nose ring about 2 and a half weeks ago and I've changed it today with a new ring that's rainbow I got from a hippie store... Is that good? Or dangerous to already change it? I pierced my own nose about 2 months ago . when I first did it , it felt sore , leaked clear liquids , and was red . I changed the ring several times (including losing them, requiring me to put "foreign" earrings in ). Currently , it is at the most strongest point of healing . I can go a week without an earring in , and it rarely hurts . but my question is , I really like horseshoe piercings , but my parents won't let me get a septum ring . so can I use a horseshoe piercing in my nostril ? Depending on your level of sensitivity, I would say yes, but I would make sure any infections are cleared up. Not to the point of the hole healing completely over, or you will have to pierce it again. I pierced my own nose yesterday, i currently have a small stud in but I don't know what's it's made of or how big (I bought it out of a jewelry case in a peddlers mall lol). I think it's Sterling silver. If it starts getting infected can I just buy a more quality ring, clean my nose, and put the new ring in? I would think so. Wiggle or twist it a little to make sure it isn't all crusty and stuck to your nose. What material is the hoop made from? Is it different than what you had in before? Are you using a different cleaning solution? Something is causing the irritation. Try letting it heal a bit and put in one of your old studs and see what happens. Is it normal for a nose piercing to burn after changing from a stud to a hoop for the first time? I've had my piercing for close-ish to a year and I've changed between studs multiple times, but this is the first time I've put in a hoop. I have had my nose ring for two weeks now and I am very happy with it. The only concern that I have is how to swap it out once it is healed. I have the corkscrew one and I am sure I will figure it out after it is completely healed. I clean mine 3 times a day with soap and water. I do not touch it, otherwise, and it is healing nicely. I have the small one and my work allows it because they said it is simple. I will most likely leave it in until my birthday to ensure it is completely healed. That will be about 6 months. I just want to be safe, rather than sorry. @shyteria: some pain is normal, but I would keep an eye out for any possible infections. If you tend to be on the sensitive side as far as piercings and the like, then titanium is definitely the way to go. There are a lot of folks who do fine with surgical steel on their first piercings, but if there is any doubt, stick with titanium. "it's wise to select surgical steel or titanium nose rings that are less likely to irritate your piercing" - false. Surgical steel is not good choice in the beginning because it includes nickel and can cause allergic reaction because of it. Titanium is the only good choice. After the piercing is healed surgical steel can be considered as an option. @Coffee-Break: Beauty is in the eye of the beholder, as they say! Piercing, like tattooing, is a nice way to express yourself. 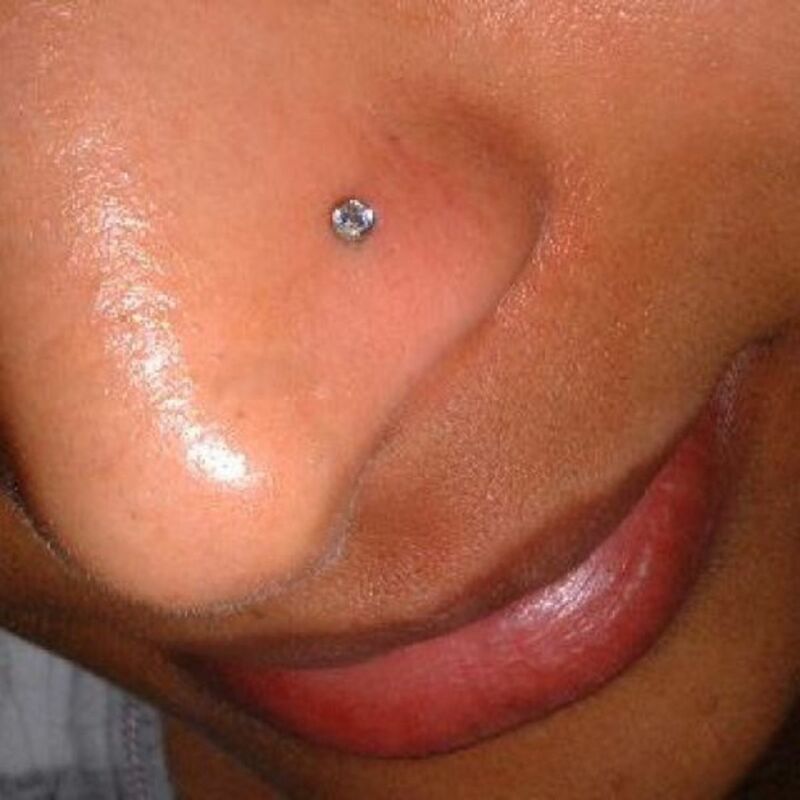 Nose piercing can be very beautiful, if done with taste. I have had a nose piercing for over 30 years.. and I love it! (Even before it was fashionable!!!! Excellent advice for anyone considering a piercing, well done. Cheers for the information - really useful!